Welcome to Bangor. This is a great place to study — a small town which becomes a student campus in term time. Beautiful scenery and plenty to do, plus good courses make this an ideal place to spend three or more years studying. But be warned — once you come here you may never want to leave! During term-time we run Focus, a weekly Bible study especially for students. Meeting on Monday evenings from 6:15pm, we'll grab some soup before diving into the book of Esther. If you want to deepen your understanding and make new friends, make sure you're there. Students are also welcome to attend one of our home groups. 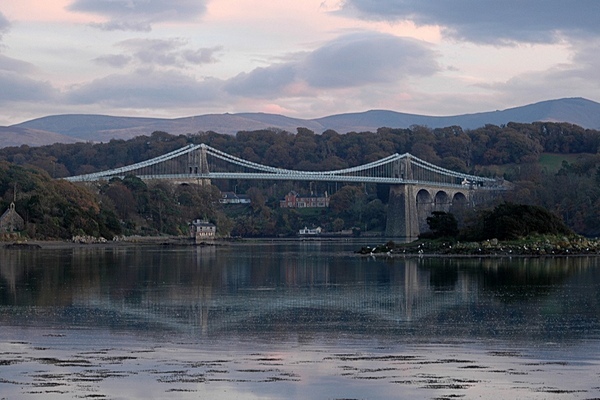 There is one in particular that is aimed at young adults — a mix of students and professionals; this group meets on Tuesday evenings (usually) in Menai Bridge and lifts can be arranged if needed. To find out more, contact Magnus at the church office. Our student co-ordinator, Kelly LaTrobe, is here to help you settle into Penrallt. Kelly is in the third year of her degree in English Literature with Journalism and is interested in theatre and theatre technology. She can be contacted by email to students&commat;penrallt&period;org. Here are some links that may be of particular interest to students. See our links page for links of more general interest. © 2006-2019, Penrallt Baptist Church, Bangor, UK. Penrallt is a registered charity (UK Charity No: 1131224).